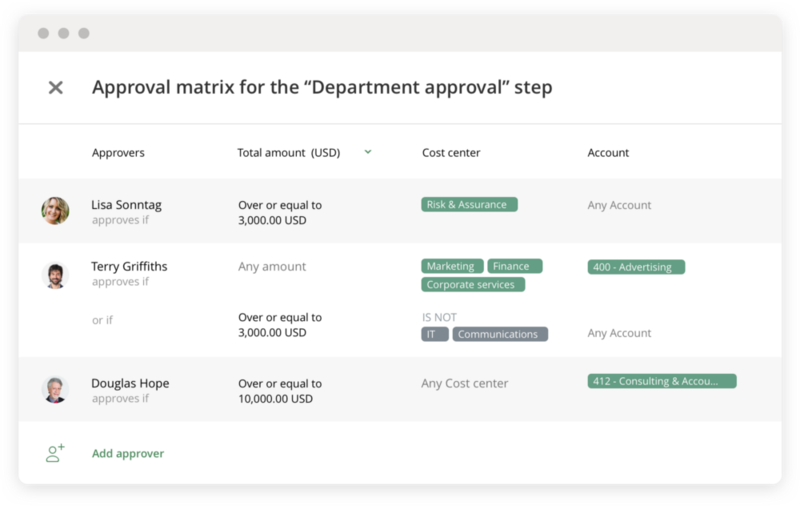 What makes ApprovalMax such a powerful tool for designing complicated approval workflows without a single line of coding? You probably have already tried to design an approval process on paper. And, most likely, you didn’t find it to be a pleasant experience. 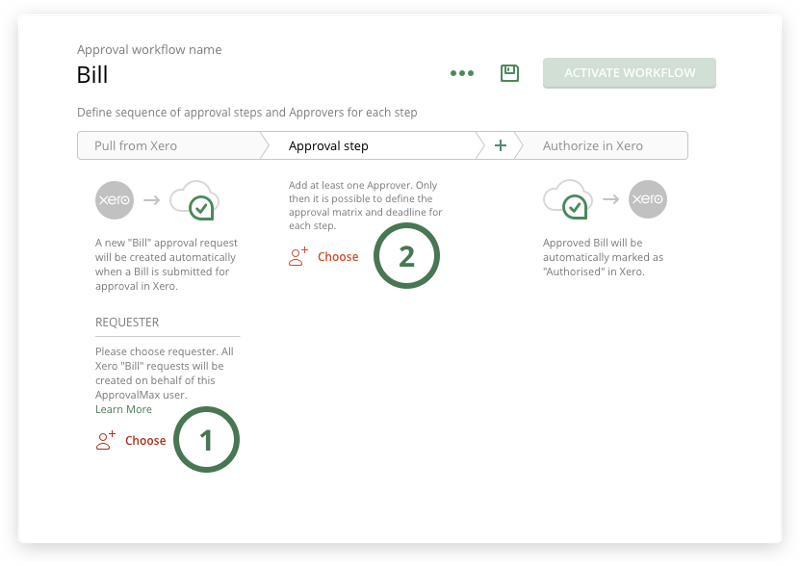 Often, approval workflow rules are quite complicated and require a certain methodology to be described. 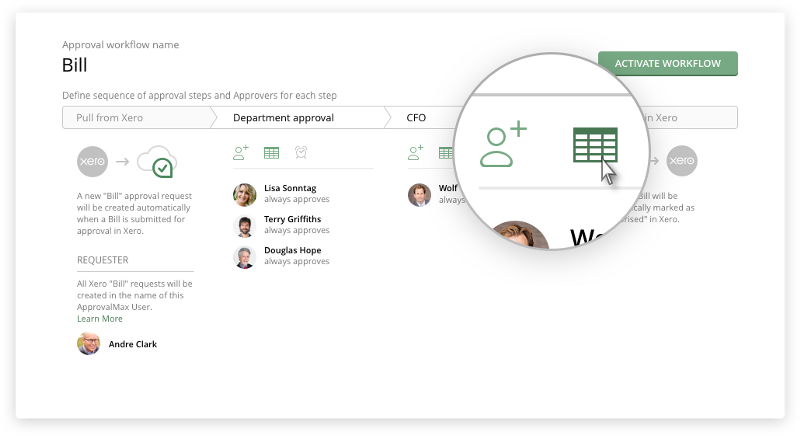 ApprovalMax provides not just an approval workflow engine, but a clear and intuitive way to describe any approval workflow. Not on paper, but in a top-notch tool with a maximum of automation. 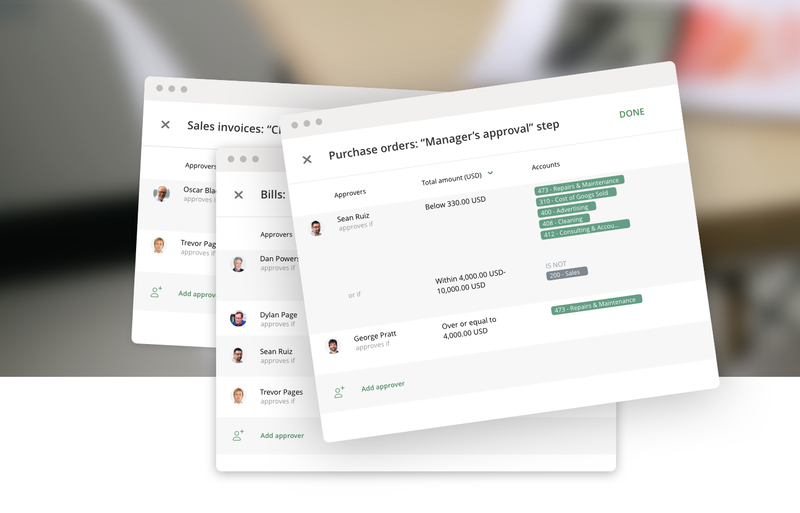 Let’s set up your approval workflows in ApprovalMax! Open the left navigation panel and click on “Approval workflows”. 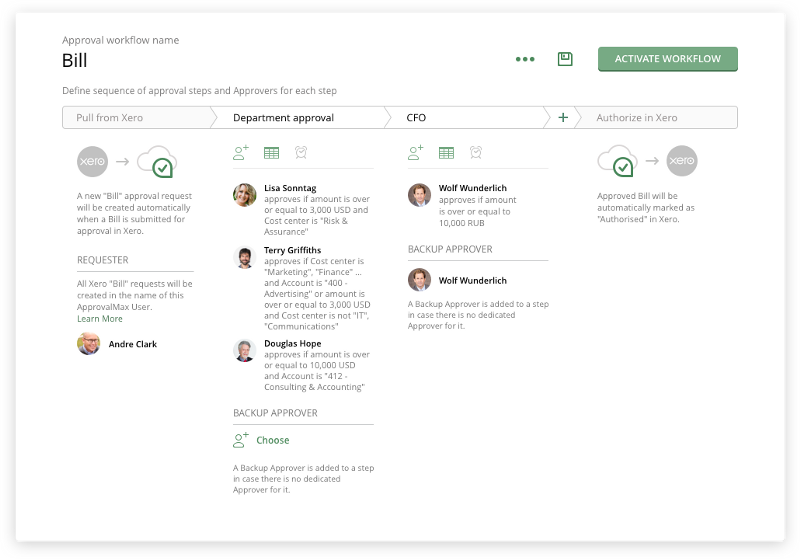 You can select one of the predefined approval workflows or create a new one from scratch. 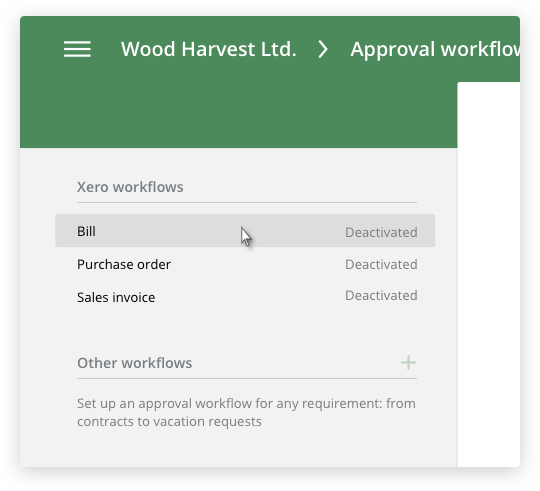 Xero workflows allow you to set up workflows for Xero documents such as Bills, Sales Invoices, or Purchase Orders. 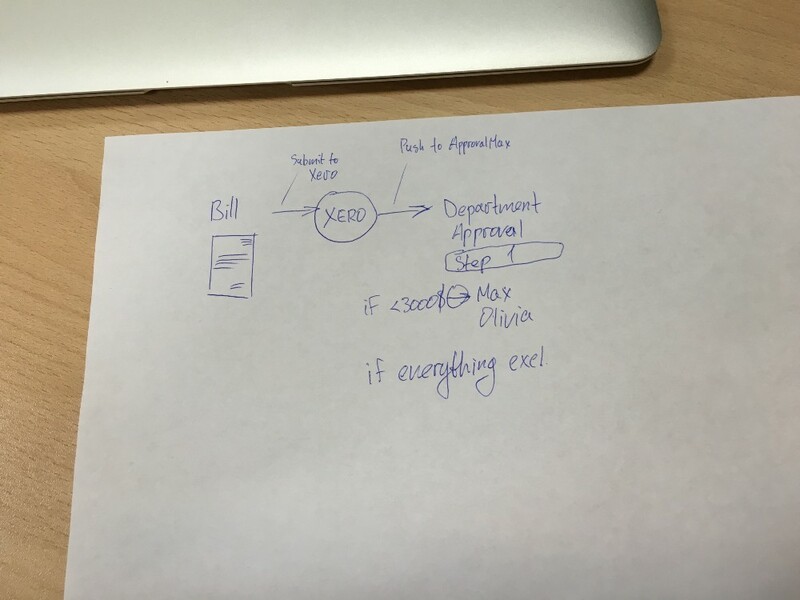 Let’s set up an approval workflow for Xero Bills. Once you’ve added the Approvers to a step, you’ll see a panel appear underneath the step name. This is where the magic starts. The “Alarm clock” icon enables you to set a deadline for this step (days, hours). Now, let’s click on the “Table” icon or on the rule below the Approver’s name (e.g. “Always approves”). A popup opens with the approval matrix, which defines who should be added as an Approver to a particular Bill based on its details. Rules for Xero Bills, Purchase Orders, or Sales Invoices can be set based on the values in Xero: Accounts, Suppliers, Items, Customers, etc. 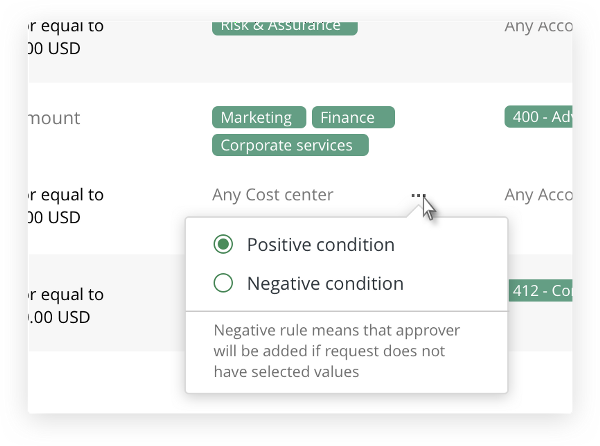 Alternative rules for an Approver can be added in each step; meaning “OR”. This way, you can set complex rules such as Terry approves if “Amount is below 500 USD and Account is 568” OR “Amount is below 10,000 USD”. Negative conditions help defining rules such as “Mike approves Bills that are NOT from Coca-Cola Company”. 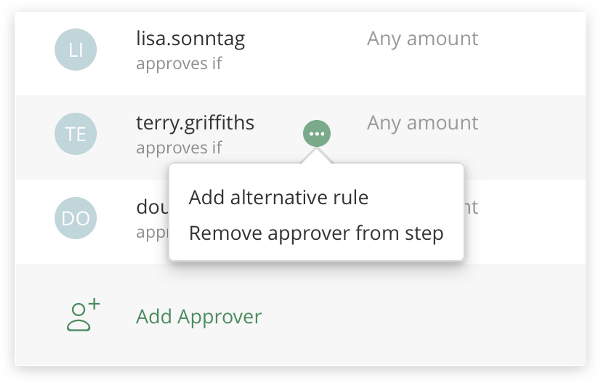 You can also add a Default Approver to those steps that don’t have an Approver with the rule “Always approves”. Learn more about Default Approvers. When you’re happy with your workflow, hit “Activate workflow”. 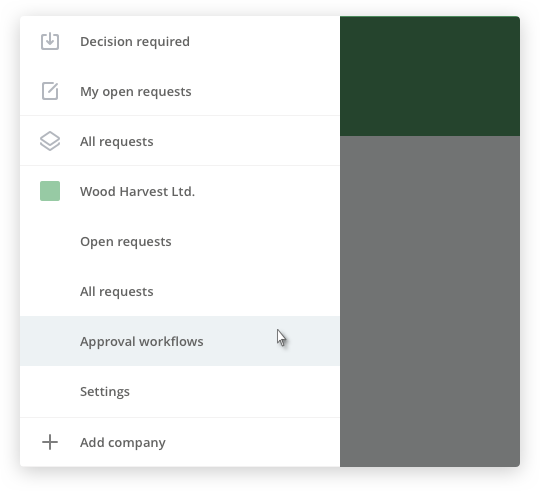 Now, all documents submitted for approval in Xero will be pulled to ApprovalMax and pass through your approval workflow.